California is a state that is full of landmark sites, fascinating cities and the undeniable beauty of nature. Luckily for you, you get to experience it all as you journey through the state. 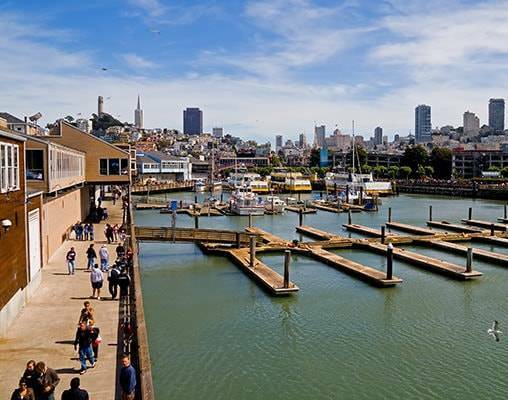 This tour begins in San Francisco, where you get to visit Fisherman’s Wharf and some of the famed piers, travel along the hilly roads and see some of the City by the Bay’s best attractions on a Hop-on/Hop-off tour. 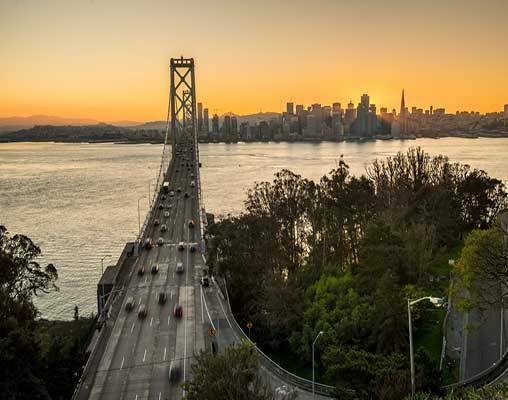 San Francisco is also used as a basecamp to explore the rest of the state, as you embark on day-long journeys to Yosemite and Napa and Sonoma’s wine countries from here. When the time in San Francisco comes to a close, enjoy oceanic views from Amtrak’s Coast Starlight as you make your way south to Los Angeles. Once in L.A., keep your eyes peeled for the rich and famous as you get an in-depth look at the city on a Hop-on/Hop-off tour. Enjoy one more train ride, this time aboard the Pacific Surfliner, to your final destination of the tour: San Diego. With a excursions through the city with one last Hop-on/Hop-off tour and a cruise through the harbor, you once again get to experience some of the very best sites. Nine full days of adventure, a lifetime of memories; come lose yourself in California. Arrive in San Francisco using your preferred method of travel. Once you have gathered your luggage, transfer to your Downtown or Wharf hotel for the first of four nights. Should you have extra time after you settle in, kick off your adventures by exploring the interesting shops and the fantastic eateries this city is known for. Overnight San Francisco. Experience 24 of the most fascinating locations throughout San Francisco on today’s Hop-on/Hop-off city tour. The entire journey is narrated by a tour guide, and you are free to exit the train at any of the destinations to get a better look. Some of the sites included on the tour include Chinatown, Union Square, Fisherman’s Wharf, Lombard Street and Golden Gate Park. When the tour concludes, the rest of the day is yours to revisit favorite attractions or to leisurely explore new areas. Overnight San Francisco. Today takes you out of the city and into California’s vast wilderness with the Yosemite in a Day Tour. You will be picked up from you hotel bright and early this morning and ride by minibus into the heart of Yosemite. A brief snack stop in San Joaquin Valley is made along the way. On the drive there and as you roll through the park, a knowledgeable guide will provide you with valuable insider’s information about the park. Keep your eyes peeled for wildlife! Deer, black bear, bighorn sheep, bobcats and many species of birds make their home in Yosemite. While in the park you will embark on a guided hike through the famous giant redwoods; make picture-perfect stops at sites such as El Capitan, Half Dome and Bridalveil Falls; and have free time to hike, walk, get lunch, take photographs and enjoy nature on your own. After a long day of outdoor adventures, grab a late dinner back in the city before settling in for the night. Overnight San Francisco. Vineyard tours and tastings of some of the world’s best wine lies ahead today, with your day-long excursion to Napa and Sonoma. You will again be picked up from your hotel this morning, this time by luxury motor coach, and make your way across the Golden Gate Bridge and north through California to Napa Valley. Upon arrival, enjoy tastings and tours at three separate wineries and free time to explore the charming town of Yountville in the heart of Napa. You will be returned to your hotel following the tour, and the rest of the day is yours to lounge or sightsee as you please. Overnight San Francisco. A day of travel, today begins with boarding Amtrak’s Coast Starlight at San Francisco’s Union Station. The train departs the station at 7:20 a.m. for its full-day journey. The route this train follows is widely regarded as one of the most beautiful in the country; as such, enjoy dramatic views of the rugged coastline and peeks at the beautiful towns and countryside that make California so unique. Your train will arrive at Los Angeles Union Station at approximately 9 p.m., at which time you will transfer to your centrally located hotel for the first of two nights. Overnight Los Angeles. Get a taste of the most exciting destinations and attractions in Los Angeles in the very best way today: by double-decker bus. 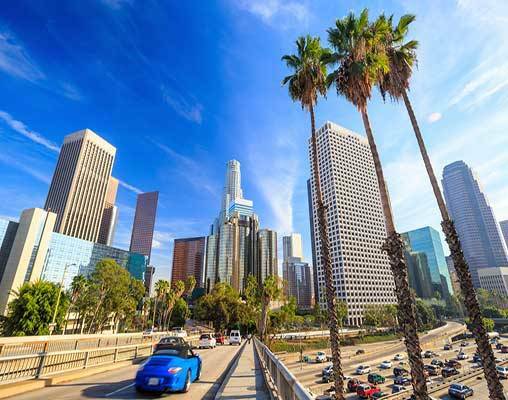 Choose the route that best suits your interest, and enjoy looks at places like the Sunset Strip, the tar pits, Universal City, the Santa Monica Pier, Venice Beach, Chinatown and so much more. In all, there are more than 50 stops to enjoy on this tour. You can choose to stay on the bus to experience everything L.A. has to offer, or you may “hop off” at the destination of your choosing for a better look. Overnight Los Angeles. Enjoy a few last hours of leisure in Los Angeles this morning before boarding another Amtrak train, the Pacific Surfliner, for a scenic journey through Southern California. The train takes you out of Los Angeles, past the palm trees and blue ocean views in Orange County and finally into San Diego. The train arrives at your tour’s final destination at approximately 2 p.m. this afternoon, at which time you will transfer to your coastal hotel. Check-in, freshen up if needed and then it is off to explore! 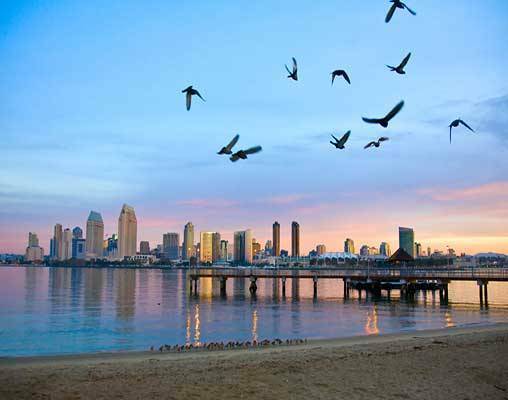 Your time in San Diego includes a 2-day pass for a Hop-on/Hop-off tour. There are 10 fascinating sites to explore throughout the city, including the San Diego Zoo, Gaslamp Quarter, Little Italy, Old Town State Park, Seaport Village and more. Overnight San Diego. As your last official day of touring, today takes you out on the water. 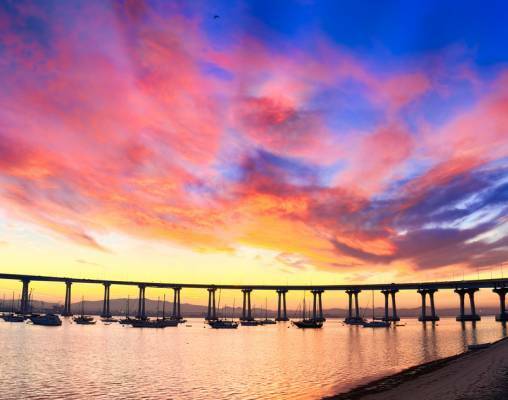 Over the course of 2 hours you will soak in picturesque views of the San Diego skyline, catch glimpses of seals and sealions, and cruise under the Coronado Bridge. You can choose to sit inside or outside on the boat for this adventure. When you dock back at the harbor, the rest of the day is yours to see what makes San Diego so special. Remember, your Hop-on/Hop-off tour pass is still valid, so you are free to use it to get around, if you choose. Overnight San Diego. Upon waking this morning, enjoy one last breakfast in this Southern California locale. Once you check out of your hotel, the tour comes to a close. Transfer to San Diego International Airport for your return flight home, or continue on your journey by connecting with another tour. Enter your details below if you would like to be notified when 2020 dates and prices are available for Best of California. Prices are correct at the time of publication, however are subject to change at time of booking. Hotel and Rail accommodations listed above, are subject to change based on availability at the time of booking. Prices are land-only, based on double occupancy.